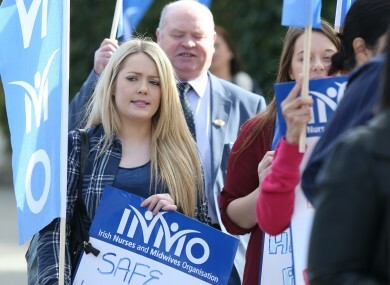 The nurses and midwives of Ireland plan industrial action on March 7th after the HSE failed to agree terms with the INMO regarding a dispute over working conditions. Hospital support staff plan a simultaneous all-out strike, meaning in around 40,000 Irish workers will be involved in this action. Nurses will implement their strike by only working to contract. They will refuse to do the overtime in which they have been engaging in, in order to cover the lack of staff. The fact that there is an insufficient number of nurses at a time when waiting lists are unworkably long is untenable, though it does offer one explanation for why the problem continues to exacerbate. Those wishing to assign blame over the strike should look in a single direction. Paul Bell, a Siptu health division organiser, pointed towards the true villains in his explanation of his union’s decision. “The size of the vote in favour of strike action undoubtedly demonstrates our members’ anger with the Health Service Executive and Department of Health due to their failure to give them the fair and equal treatment they demand,” said Bell. Minister of Health Simon Harris has reportedly said that he will do everything he can to reduce hospital waiting lists in the next year. A nursing strike can only exacerbate the situation. If Harris is truly committed to doing everything to mitigate the crisis, then avoiding a strike should be one of his top priorities. The nurses put forward a proposal to resolve the dispute between them and the HSE. It has been estimated that 180 million euro a year would have been the cost to implement this proposal. Yet these terms were rejected. Yes, this would have been an expensive fix, but finding money to improve the working conditions of nurses surely falls under the remit of ‘everything’ a Minister of Health could be expected to achieve. Whether or not a strike is the best course of action for nurses is rather a moot question. Industrial action has been proven to secure better terms for bus drivers, LUAS drivers and Gardaí in the last twelve months. Some might question the ethics of health care professionals leaving their posts during a trolley crisis. Others might reply that the blame should be levelled at the people who have allowed nurses to feel as though their working environments are unsafe. Besides which, the nurses will still be fulfilling the terms of their contracts on the day of the strike. They are merely refusing to do extra work. The proposal put forward by nurses included issues such as paid maternity leave and overtime. They only ask for the same terms that are guaranteed for many other state workers. It is time for Minister Harris to be a man of his word and act to avoid numerous healthcare professionals striking. Otherwise he will prove himself as ineffectual in solving the waiting list crisis as his department has been in treating its workers with respect.